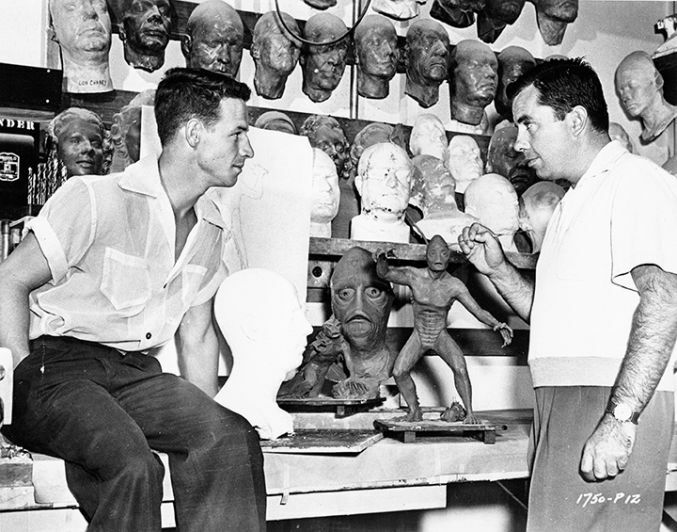 From the private collection of Conrad Brooks - High Resolution photograph of the Universal Creature shop as it appeared in the 1950s. Photo shows many life masks in background. Most of the life masks shown were discarded by the studio in later years, winding up in private collections world wide.